Does Ego Spell Success?... 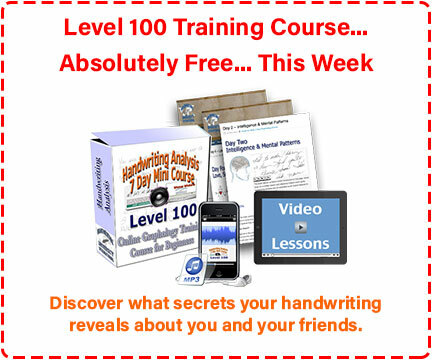 – Handwriting University: Learn Handwriting Analysis and Graphology. Many people perceive the word “ego ” as negative or insulting. The truth is, a healthy ego is one part of good self-esteem and strong self-confidence. You may find someone with t-bars at the top of the stem, but if they have a tiny, underdeveloped personal pronoun “I” and a weak signature, they might be ambitious but lack the confidence and sense of certainty to really achieve. They may achieve, but not to the level of a similar person with a healthy “I” and a large signature. In the American system, self-esteem is based on all three parts of the person’s handwriting. Just using one can lead to misleading results. The particular route to becoming a very successful author, speaker, NBA star, actor, or celebrity does require more “ego” than other careers like medical doctors, accountants, etc. A healthy ego is a key, and it is the driving force for success in any project where status and competition is at hand. On the other hand, an ego that is too large can obviously make you obnoxious and exceedingly narcissistic. Most people feel that being arrogant or self-centered is a negative trait. However, the people who say that are usually the ones standing on the sidelines watching other people lead, star, or win at the game. Many of those people have been hurt or lost some social status, money, or power to the person with the bigger ego. So, being nice is not mutually exclusive to not having a big ego. Don’t fall into the trap of thinking you don’t matter and being “nice” is better than winning. You can do both. Take a look at these two bestselling authors’ signatures below. 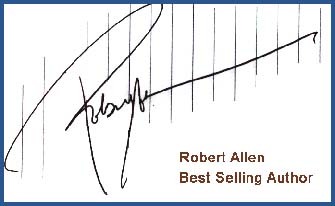 Robert Allen, one of the most respected authors on real estate investment, has written two books titled “Multiple Streams of Income” and “No Money Down.” Robert is also one of America’s leading speakers and authors on becoming rich. I wouldn’t call Robert Allen humble…but he is smart and demands top dollar for his seminars and courses. He knows he’s worth it. It was not uncommon in the 1990’s or 2000’s Robert to price a ticket to his own seminar at $7,000 when his competitors were charging just $595 for similar content. Go Robert. Get Rich. And, he did. Visit the discount page now. Mark Victor Hansen is co-author of the bestselling book series of the 1990s, “Chicken Soup for the Soul.” He worked hard and had lots of people support him along the way. He is a very charismatic guy; most people would not call him egotistical in a negative way. He has a big ego, but it works for him and it was half of a partnership that sold more books than any other brand in history. Mark’s messy writing indicates that the “speed” of his writing and thinking is faster than most (a brilliant guy). He also connects all the words, so he is a fluid thinker. His t-stem is tall, so he has lots of pride. His M-humps go downhill, so he is diplomatic. As messy as his writing is, I can only imagine how many projects he must be juggling at once. His assistant had better keep him focused. Mark Victor, co-author of Chicken Soup for the Soul shown here with Bart Baggett around 2002. It hasn’t sold 63 million copies yet… but it has already changed the lives of sooooo many people. Don’t be afraid to sign your name with some splash! Thanks so much for reading my weekly newsletter. Excellent explanation abt ego.. I mean what is the difference between a healthy ego and a negative ego… So much to learn.. It seems a never ending cycle… I thrive for more..